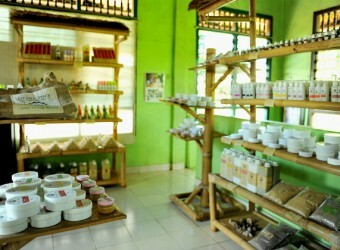 Bali Souvenior Shop A natural cosmetic shop in Ubud, Utama Spice has original natural cosmetics and aroma goods. As considering environment and the nature, they use recycled papers for packages. Also, only organic essence is used for products as well.